Jakarta. Indonesia and Finland agreed to increase cooperation in several areas, including interfaith dialogue and education, during a meeting between the two countries' foreign ministers in Helsinki this week. 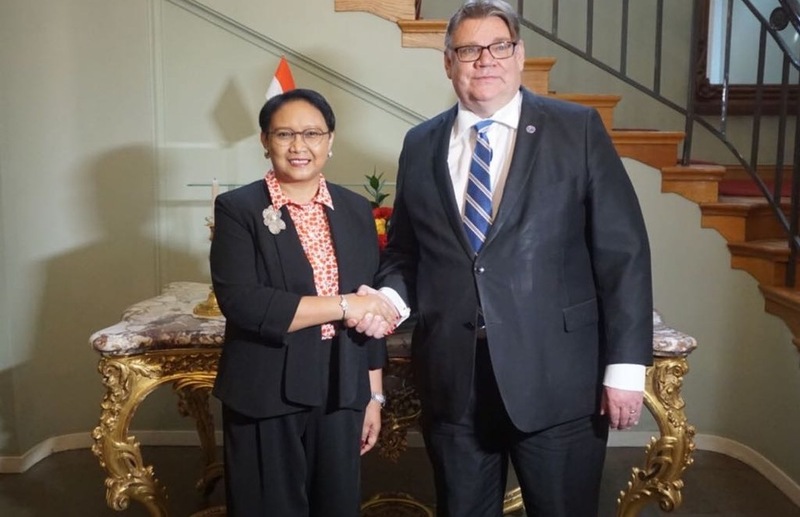 "Indonesia and Finland have had significant improvements in bilateral relations in 2017," Foreign Minister Retno Marsudi said in a statement on Monday (18/06). The Ministry of Foreign Affairs said there was a 21 percent increase last year in the number of Finnish tourists visiting Indonesia, after Finland's national flag carrier, Finnair, established direct flights between Helsinki and Denpasar, Bali. Retno and her Finnish counterpart, Timo Soini, also agreed to step up cooperation in forest management, renewable energy and education. Total trade between Indonesia and Finland rebounded by more than 60 percent last year to nearly $700 million, after a 47 percent decline in 2016. However, the balance of trade was in Finland's favor, which enjoyed a $521 million surplus. Finnish direct investment in Indonesia only amounted to $200,000 last year – a tiny fraction compared with the $12.5 million of 2016. The two countries are still working on mutual visa exemption for diplomatic passport holders and they agreed during Monday's meeting to expedite the matter. In a statement issued by Finland's Ministry of Foreign Affairs, Soini said his country has longstanding and excellent ties with Indonesia, which he described as a "valued partner" for Finland. Retno and Soini discussed cooperation in interfaith dialogue, with the first meeting scheduled for September. They also touched on other issues affecting the international community, including peace and security in the Middle East and the South China Sea. Retno also raised the issue of palm oil during the meeting. She said Indonesian palm oil, the country's top export commodity, is still facing discrimination from the European Union.